Fishing - New 'Eco Line Weights' by Trinidad Tackle Co.
New 'Eco Line Weights' by Trinidad Tackle Co. I've learned so much the past 4 years about fishing our local lakes and I'm finding great success on them all. 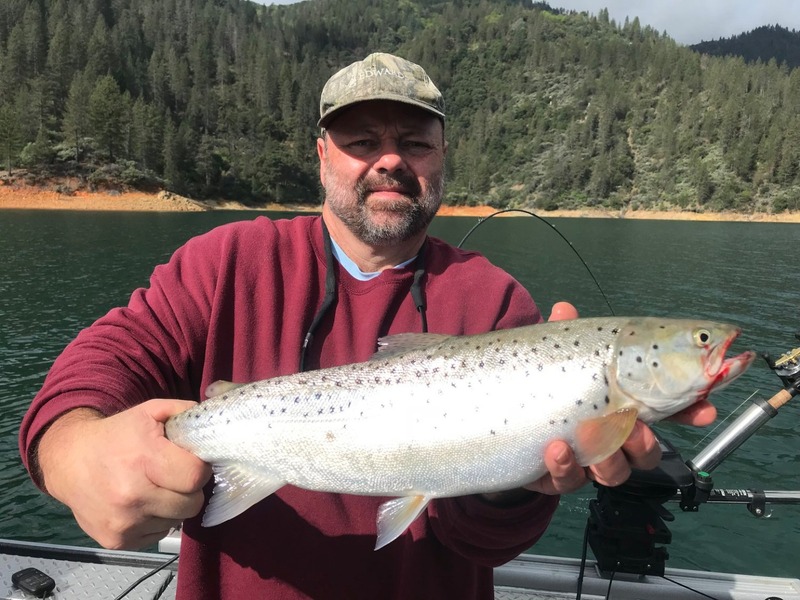 I have shared many of these tricks and techniques I have learned through study and time on the water on my website, fishing report sites, and on social media. The last few years have allowed me to spend even more time on our local lakes and I've stumbled on a particular weight system that has significantly increased my success when trolling, especially when fished in conjunction with inline side planers. Its such a great tool for catching fish, I felt like it would benefit the fishing community by sharing what I've learned about using them. No matter which trolling technique i'm using, I attach all the weights the same way. I let out 50-60' feet of line behind the boat and then I attach the line weight to my mainline from the rod. I then let the rest of the line out depending on how far I'm fishing behind the boat. 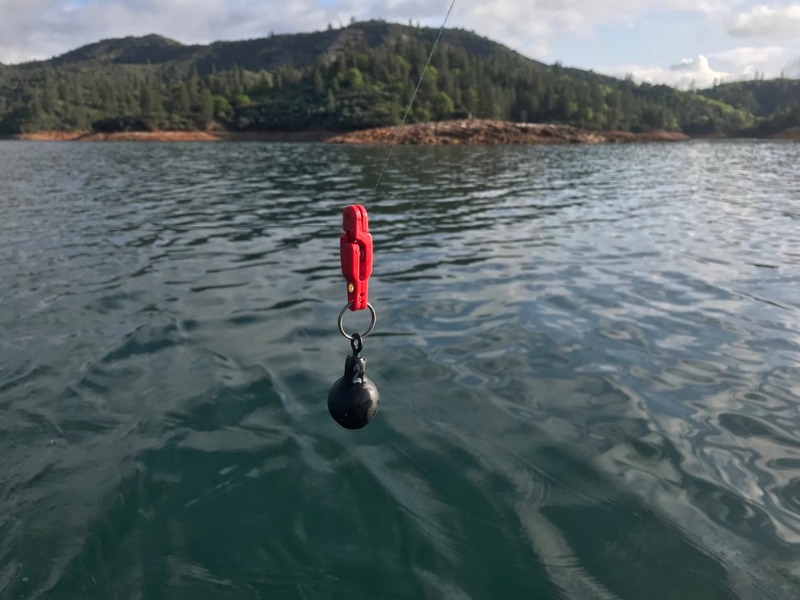 Fishing shallow requires at least 130-150' of line behind the boat, especially with downriggers or rods hanging out the back when top lining. If you need to get down below the surface when trolling, attach a 1 oz. weight and see if it gets your lures down in the strike zone. If not, go to a 2 oz. or even 3 oz. The weight, line diameter, and trolling speed will get varying results as far as depth goes, so you'll have to play around with your equipment and trolling speeds to get your depth dialed in. I run 30# braid line and normally achieve about 10-12' feet of depth with a 2 oz weight and around 15-18' feet with a three oz. at 2.5 mph. It runs slightly shallower for each when I'm trolling Optimizer Spoons at a faster trolling speed. When you get your speeds and depth dialed in you will be able to target fish below the top 5 feet of the lake more efficiently and your success rate will surely increase. When you hook a fish, simply reel them in until your line weight is within reach of you or a boat mate, and take it off. Once it's off, you can play your fish to the net weight-free. Finally, it is my opinion that these weights can be used by all trollers while on the lake. It can be used as a way to get your lines down in a kayak, or from a big power boat. There is no longer a need to attach permanent weight systems or divers to your lines to get your lures down to where the fish are. 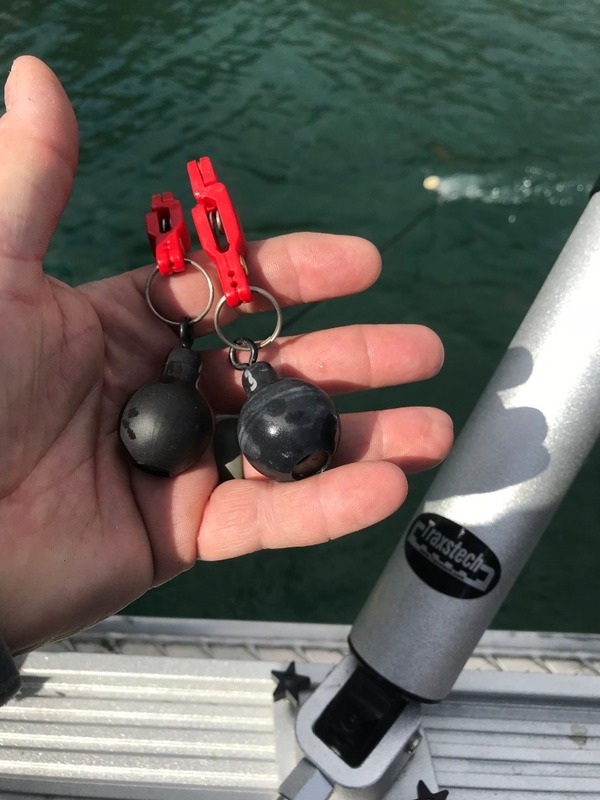 They are hassle free and changing your weight size is a snap requiring easy on and off applications once you've found the depth the fish are biting. Trinidad Tackle will have these weight systems available in a week or so. Please visit their website or contact stan@trinidadtackle.com for more information. Ask for them at your local tackle retailer. If they don't have them, let them know you would like them to carry the Eco Line Weights. That's the best way to let them know they are in demand.